Alan is a Partner and has primary responsibility for fundraising and marketing of Gatewood’s funds and its underlying fund relationships. In addition, he plays a key role in transaction origination and execution. 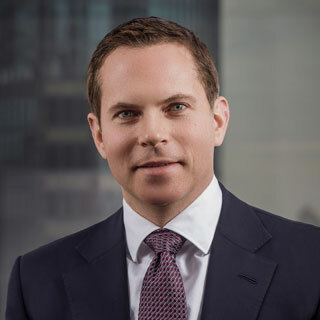 Prior to joining Gatewood, Alan was a Managing Director and Head of Business Development at GoldPoint Partners, New York Life’s private equity manager with approximately $10 billion in equity co-investments, mezzanine investments, and limited partnership assets. While at GoldPoint, Alan was responsible for the firm’s external fundraising effort, business development team, and the build-out of the firm’s marketing program as the firm’s first dedicated, in-house marketing person. Prior to joining GoldPoint, Alan had a thirteen-year career at Franklin Templeton Investment where he held various executive level investor relations and private equity fundraising positions, where his most recent position was Director of Business Development for Franklin Templeton’s emerging market private equity group. In this capacity, Alan was responsible for managing a global fundraising team and building its marketing program in North America, Europe, Asia/Australia, and the Middle East. Prior to this role, Alan was Head of Franklin Templeton’s corporate Investor Relations department and member of the corporate development and strategy team. Alan graduated with distinction from Tulane University and is a CFA charter holder. © 2019 Gatewood Capital Partners. All Rights Reserved.